Hoary redpoll with ? sparrow. Can you identify the sparrow? 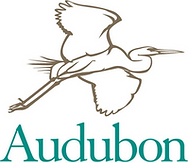 December 15, 2019 will mark the 86th Annual MANO (Northampton) Christmas Bird Count and the 120th National Audubon Christmas Bird Count. This 2018 MANO CBC final will provide you the results of our count on December 16, 2018. Volunteer bird watchers of all ages, novices and experts team together to spend a portion of the day or the entire day recording any and all bird species seen. 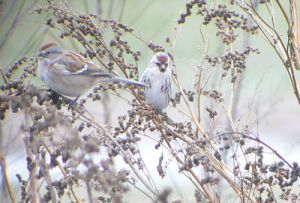 The Northampton Christmas Bird Count covers 24 hours (rain, sleet, snow, or shine) midnight-to-midnight December 15th, 2019. The goal for the 24 hours is to find, identify and count all birds within a 15-mile diameter “count circle” centered in the Hadley Cemetery on Cemetery Road. Some folks start searching at midnight for owls. Others start at sunrise. Some spend the entire day, others a couple of hours. No one is too young or too senior to participate. Beginners are welcome – we’ll make sure you join a group with at least one experienced birdwatcher. We hope you’ll join us for this great day. You will probably make new friends, learn a bit, laugh a lot and get a great workout. You can even participate from home as long as you are within the CBC circle. You can count birds that visit your feeders. Check to be sure you are in the circle and please contact the compilers at [email protected] to be included. And – eat great food –when at the end of the day we come together for a delicious potluck while we tally the day’s birds at the Hitchcock Center for the Environment at 845 West Street, Amherst beginning at 4:30 p.m. The particulars: dress warm, carry water and snacks, know your limits, etc. What to do if I want to participate? CBC Forms, Leaders, Maps, and History are on this link. MANO historical data is available from the first MANO count.